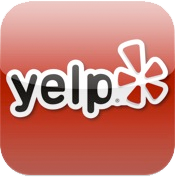 Sam looks at Yelp, the cool travel and food App for iPhone. Don’t listen if you have not already eaten! Listen to AppMinute 6 here! This entry was posted in AppMinute Podcast, iPhone App and tagged in Yelp.